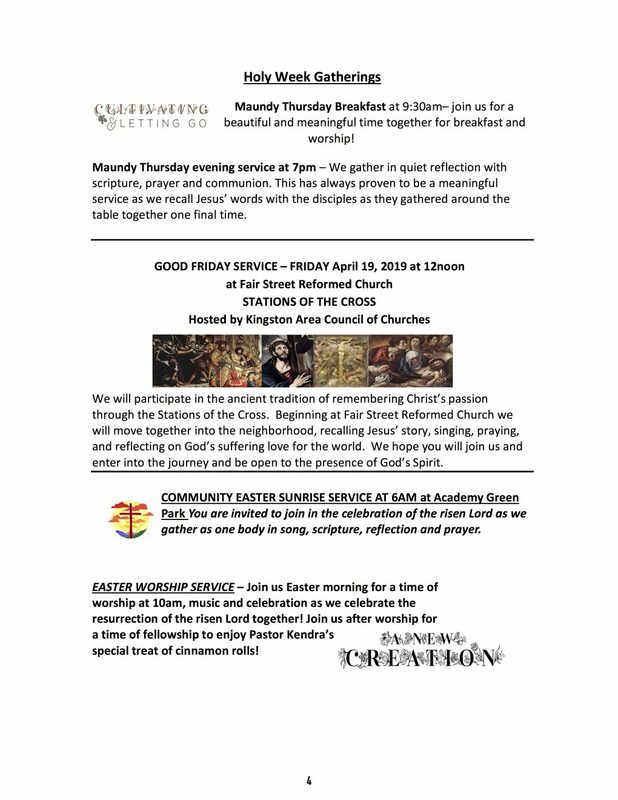 Today we find ourselves in the beginning of Holy Week as we journey to the Cross. 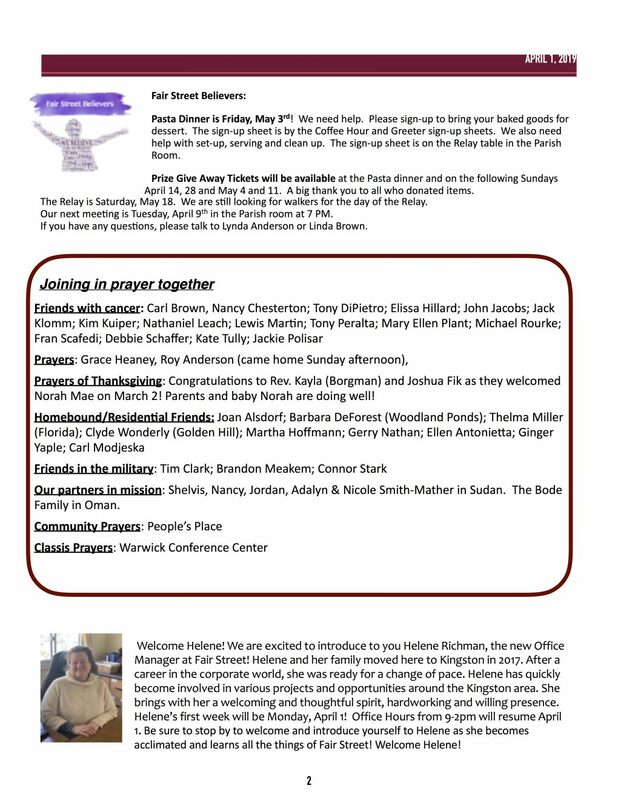 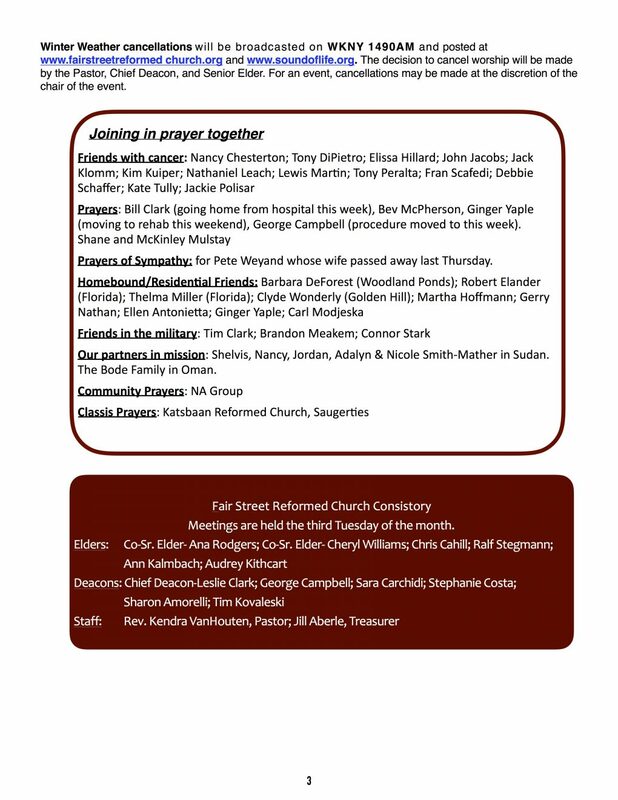 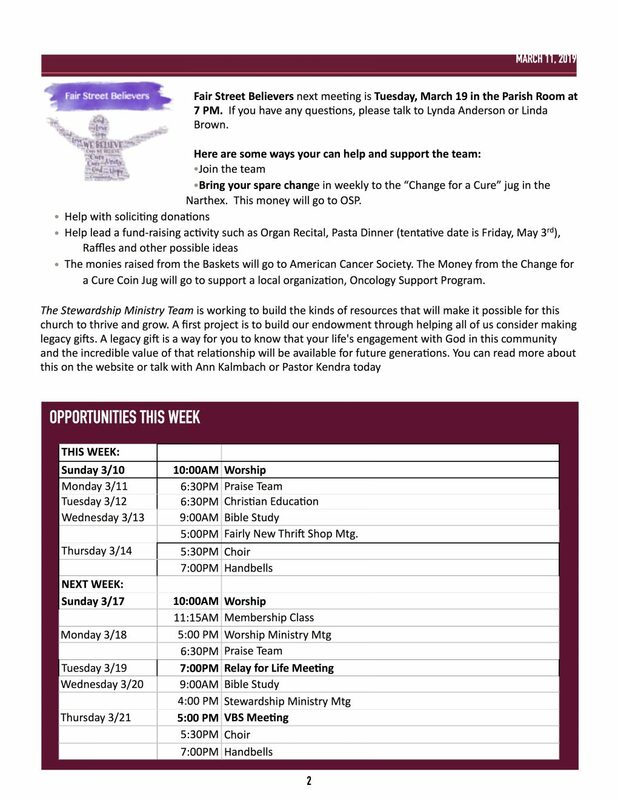 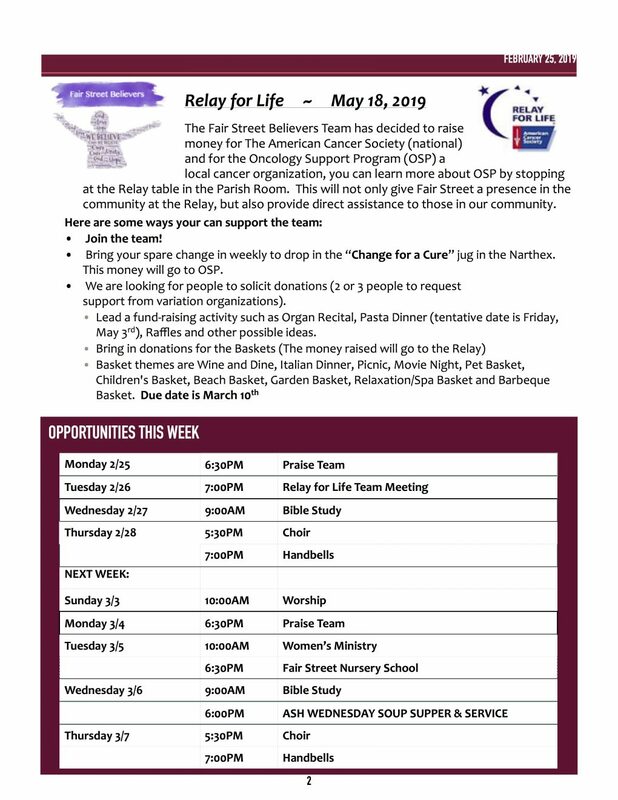 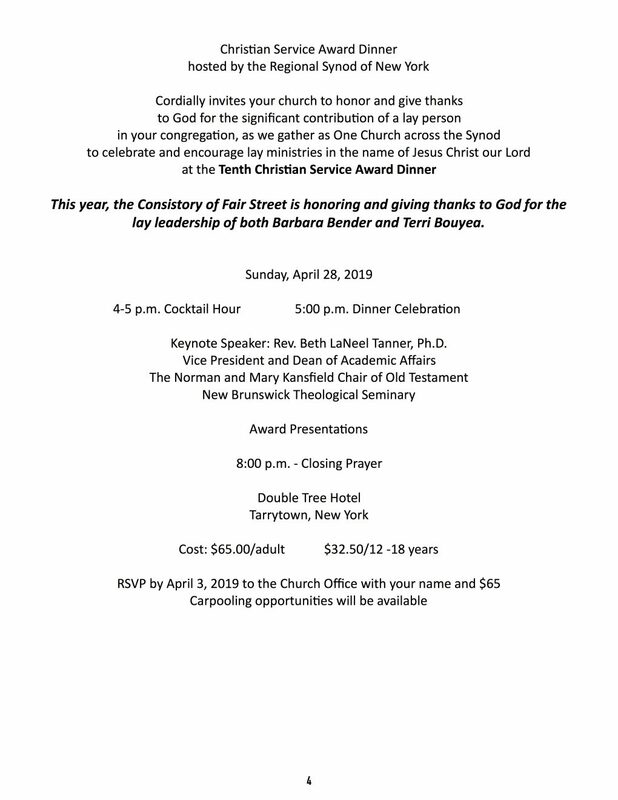 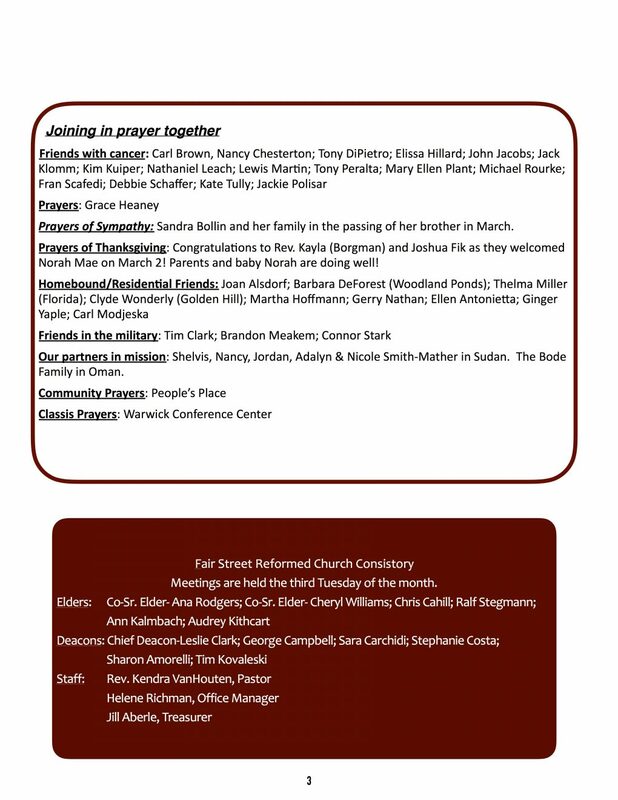 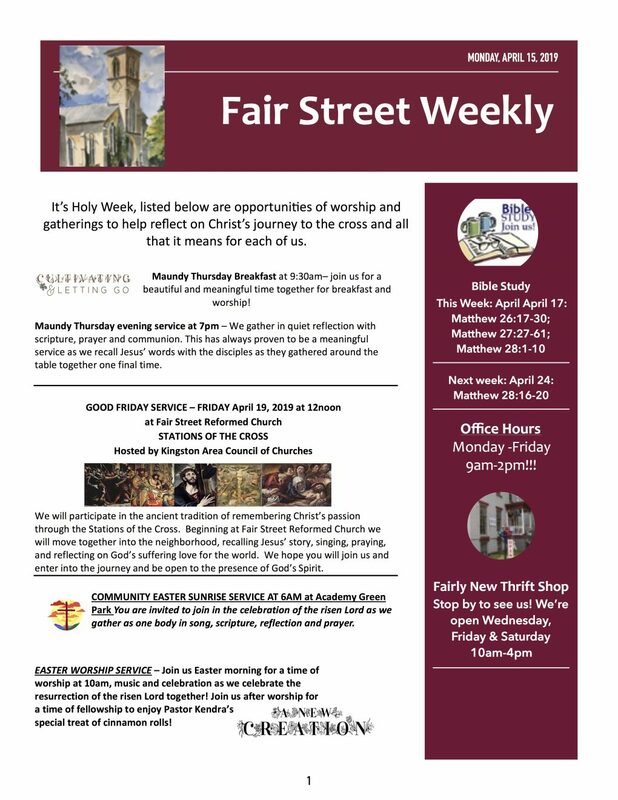 This week, the weekly has a lighter amount of information mainly so we can highlight the invitations to the gatherings and opportunities for this week. 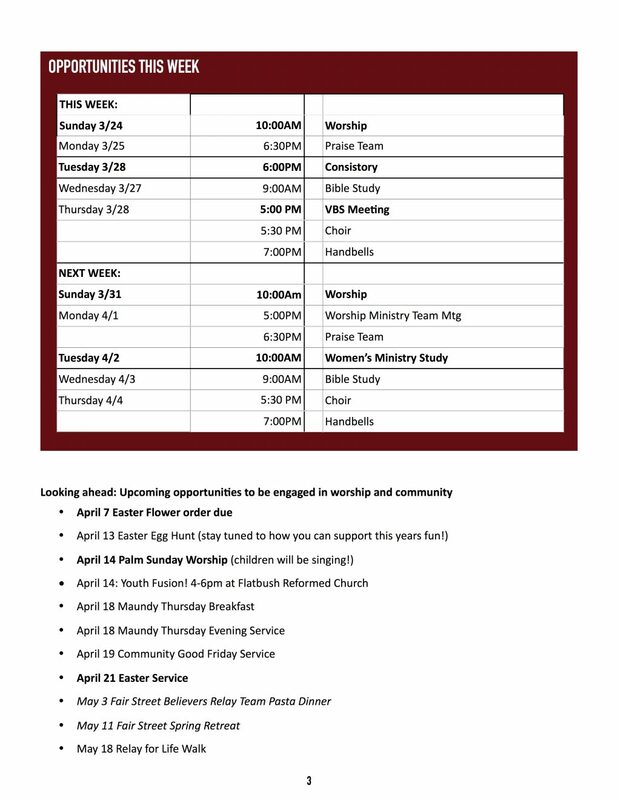 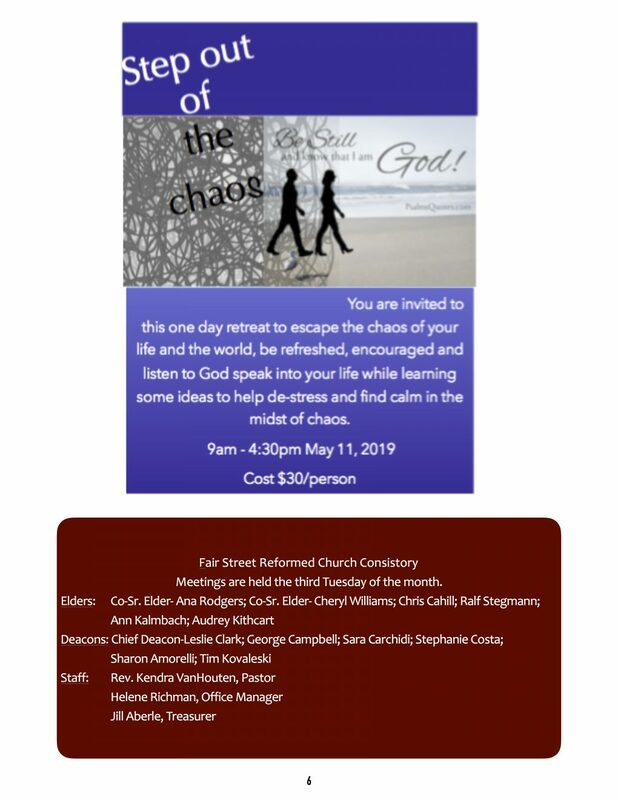 We hope you will consider joining us for one or all of these opportunities to be in fellowship and worship with one another. 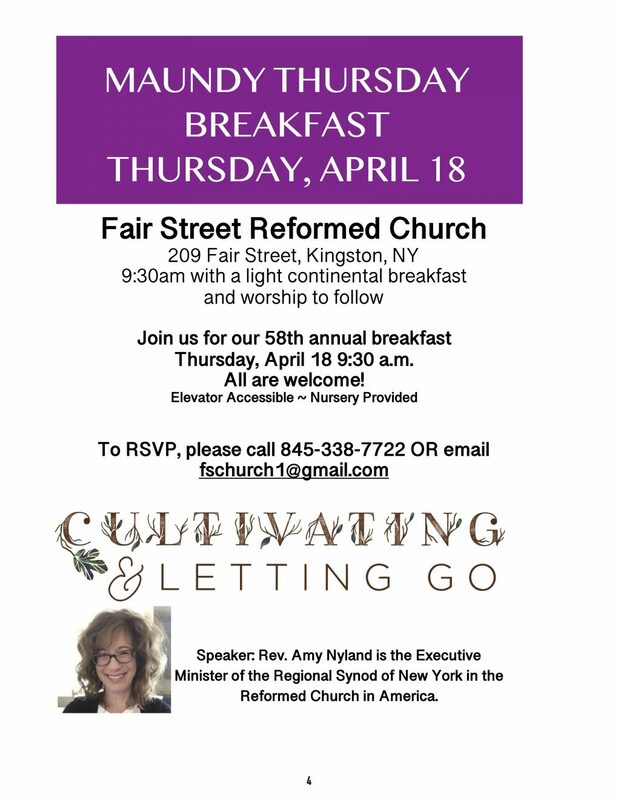 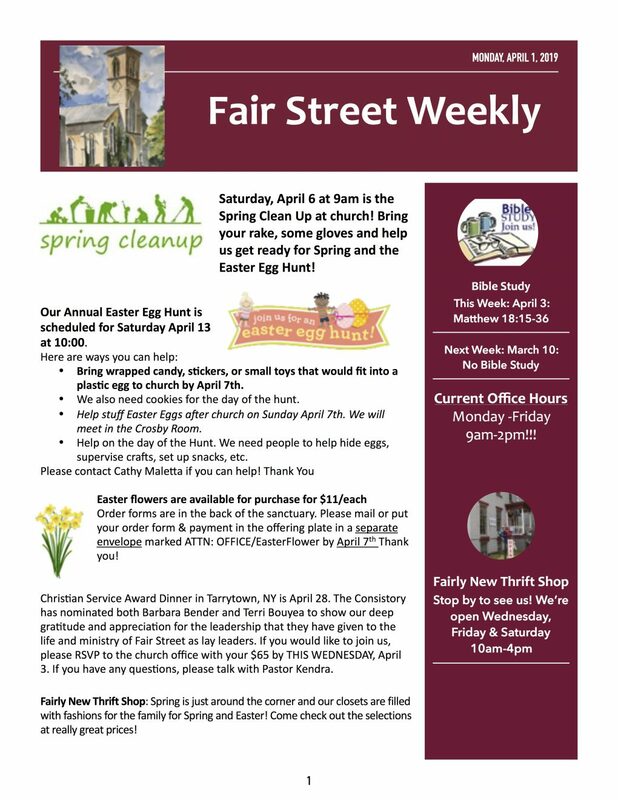 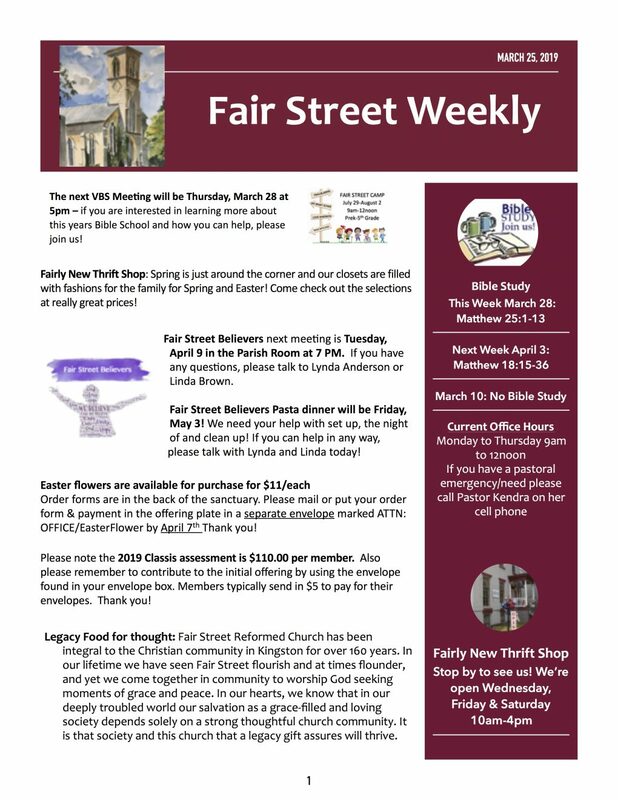 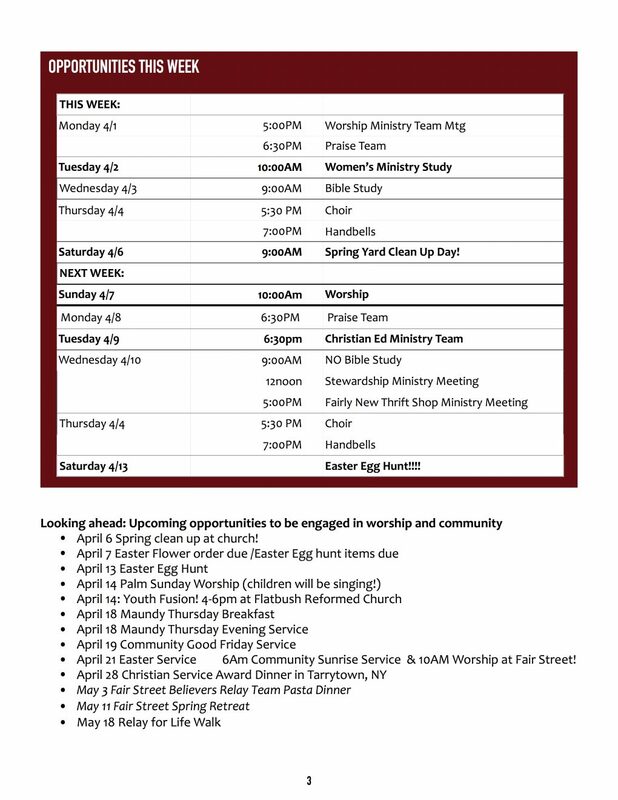 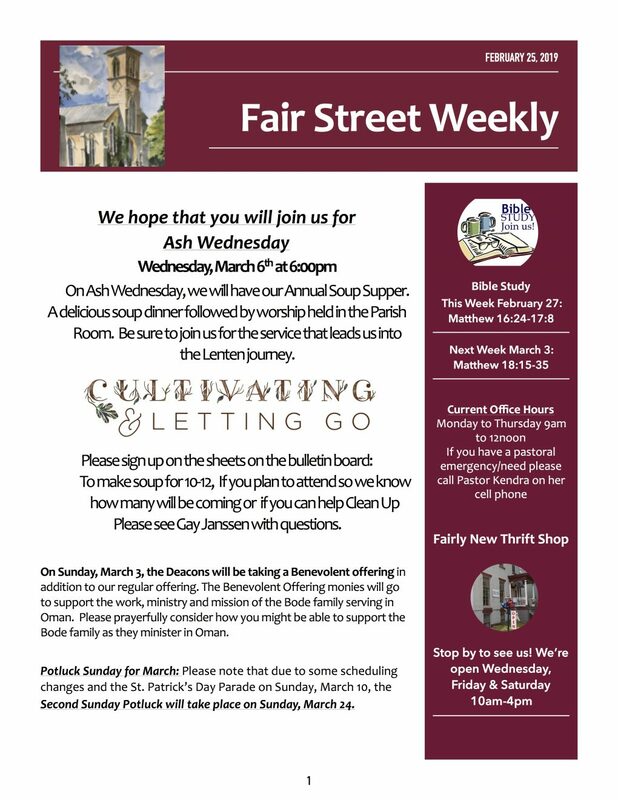 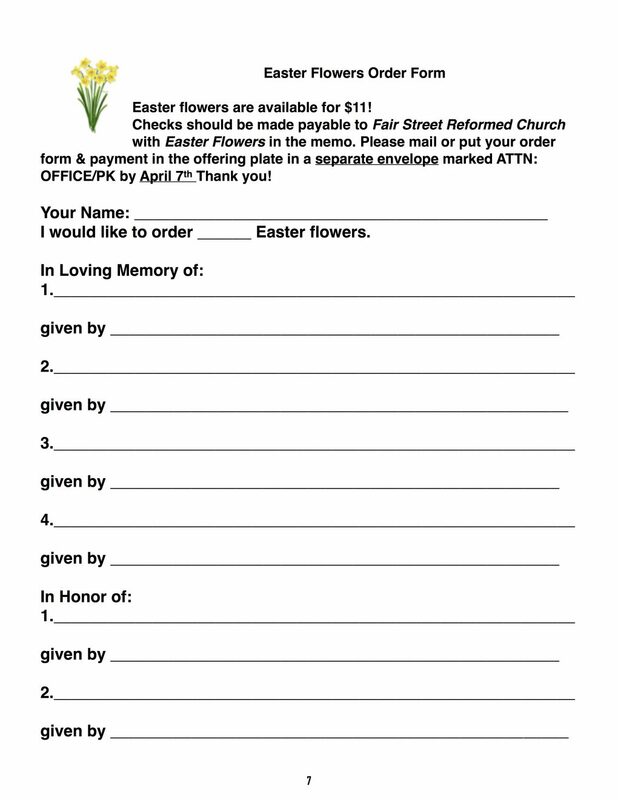 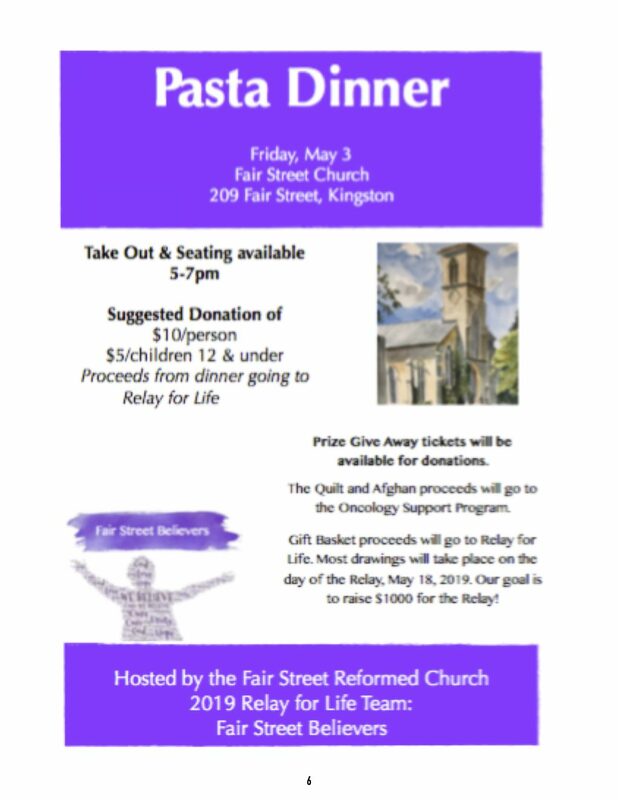 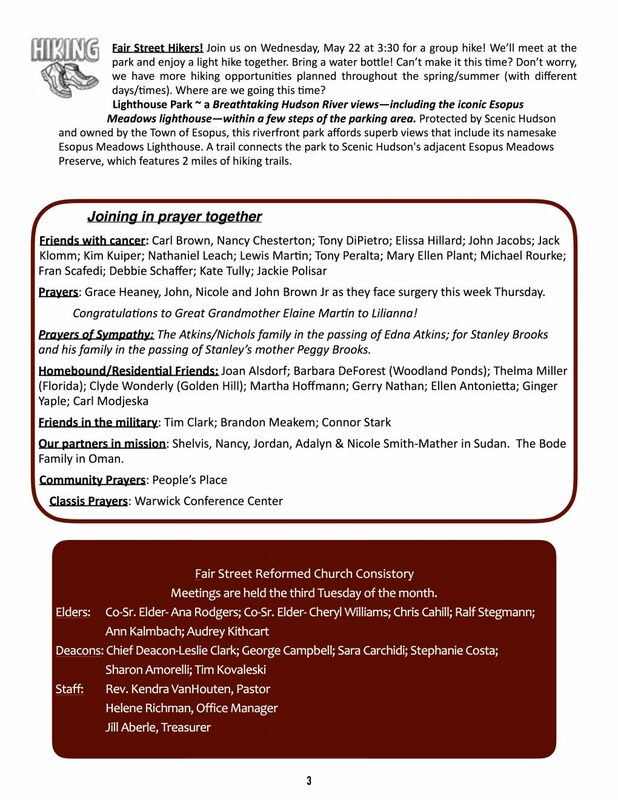 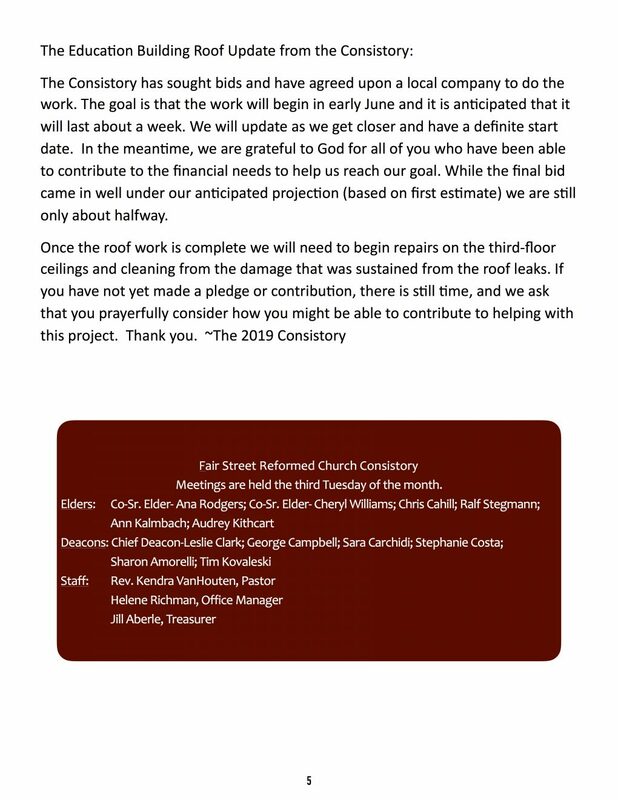 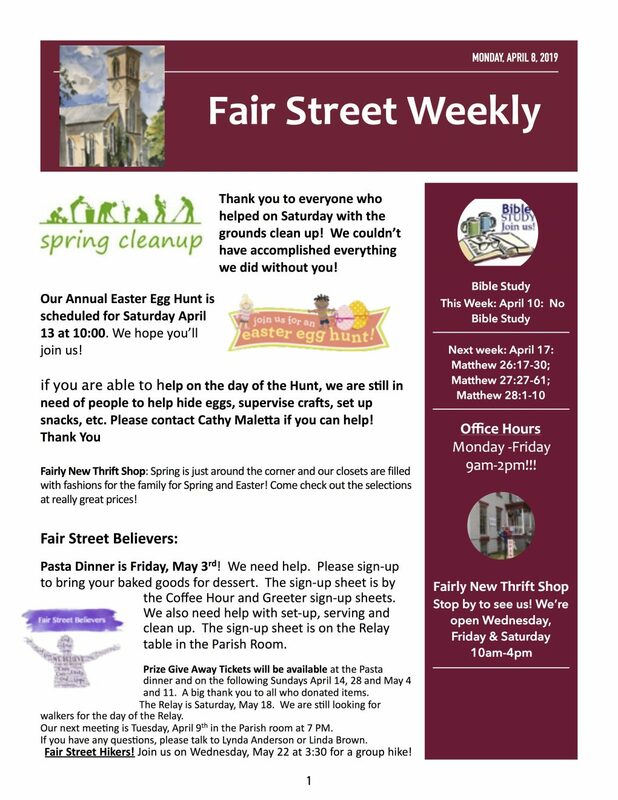 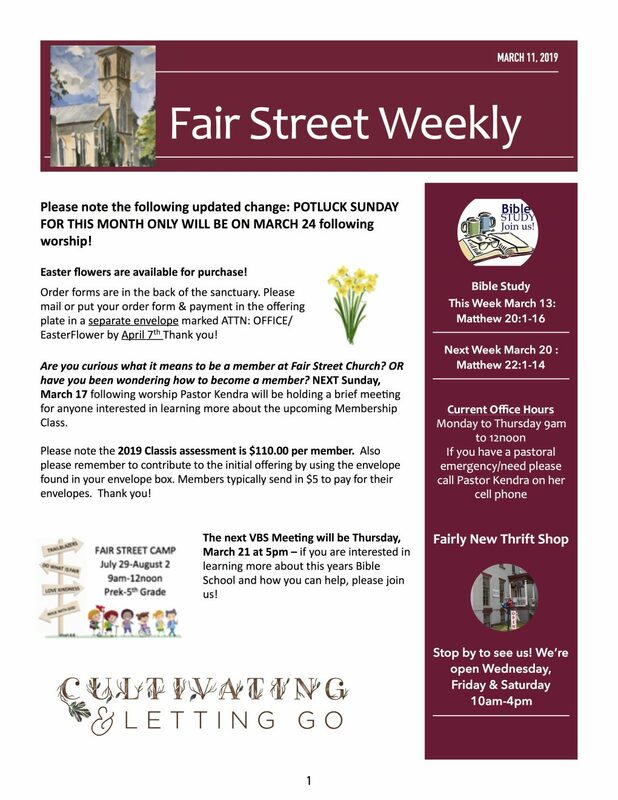 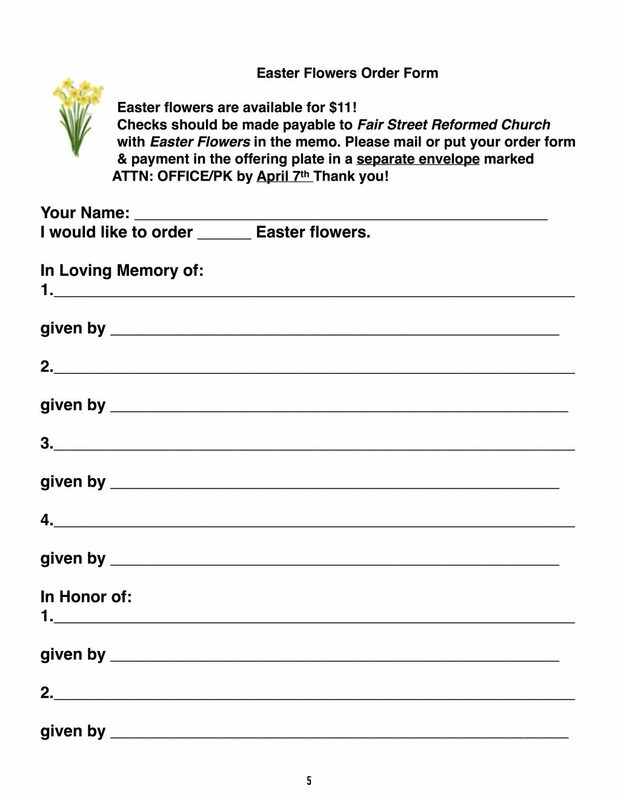 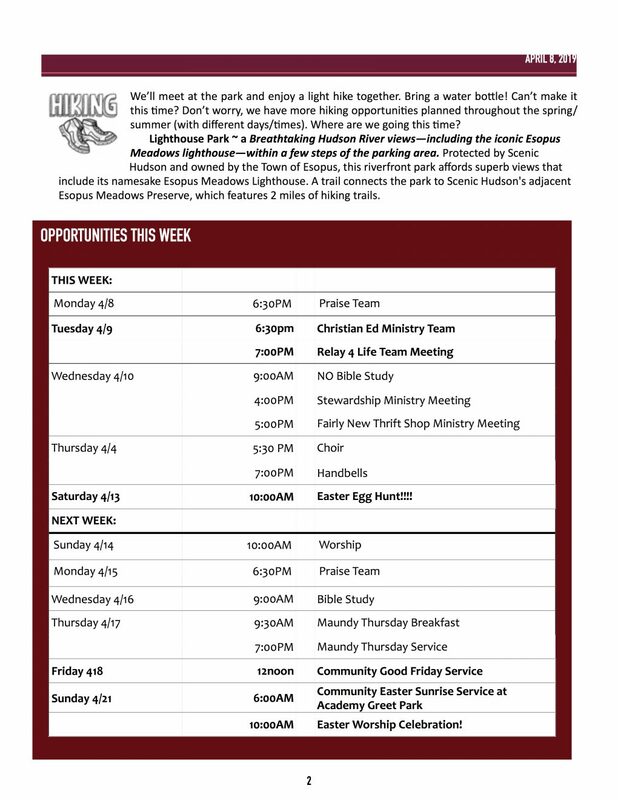 We took last week off from a weekly publication, but you will see that this week is packed with information and opportunities to be engaged in the life and community of Fair Street! 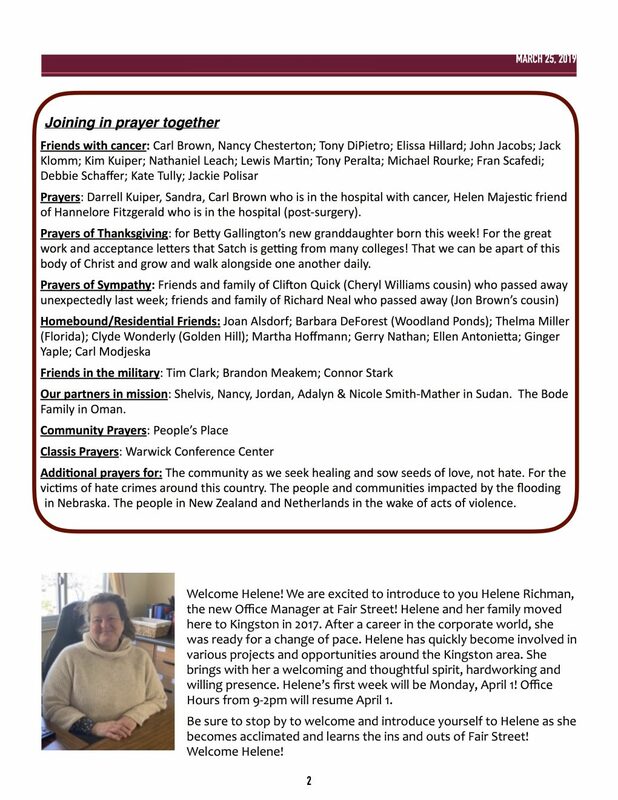 (And you’ll see the welcoming of our new Office Manager!) 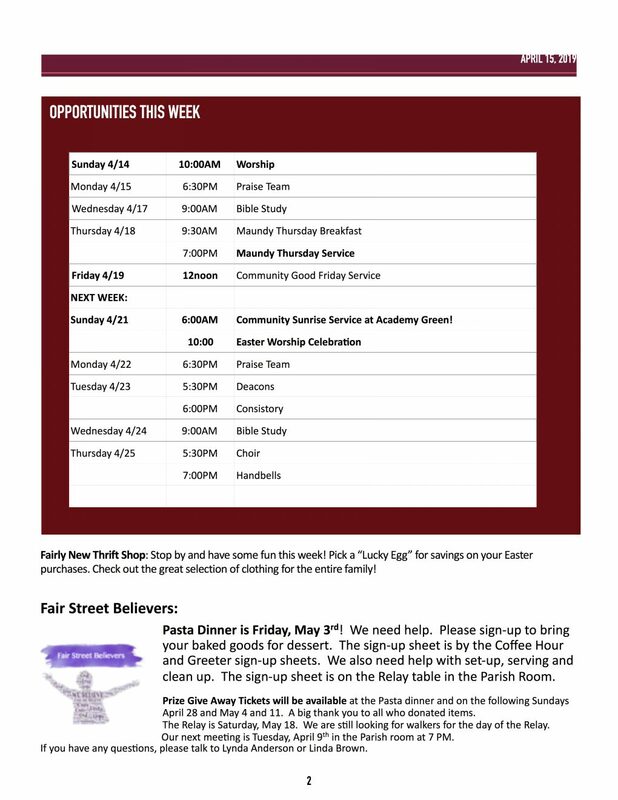 Have a blessed day today!